Dr Samuel Ho is Plastic Surgeon based in Singapore. who obtained his fellowship for Aesthetic Surgery and Craniofacial Surgery in Seoul, South Korea. In 2014, He received a Gold Medal from the College of Surgeons. Throughout his life, he has worked at prestigious establishments such as the Hanyang University Hospital, 101 Plastic Surgery Clinic and BIO Plastic Surgery Clinic. Dr Ho has special interests in breast augmentation for Asian women, asian rhinoplasty, asian double eyelid surgery, ptosis treatment and eyebag removal. He has pioneered a few techniques such as the use of orbicularis oculi muscle-sparing and the “under-through” levator aponeurosis plication technique for upper eyelid ptosis surgery, the use of ear cartilage with thigh fascia for nose augmentation and the muscle-sparing pedicled TRAM flap for breast reconstruction. Dr Ho is married and has two children. Outside of work, he spends time conducting pro-bono surgeries and gives back to the local community by volunteering his time at a not-for-profit medical volunteer organization focused on giving reconstructive facial surgery to young children in Indonesia. 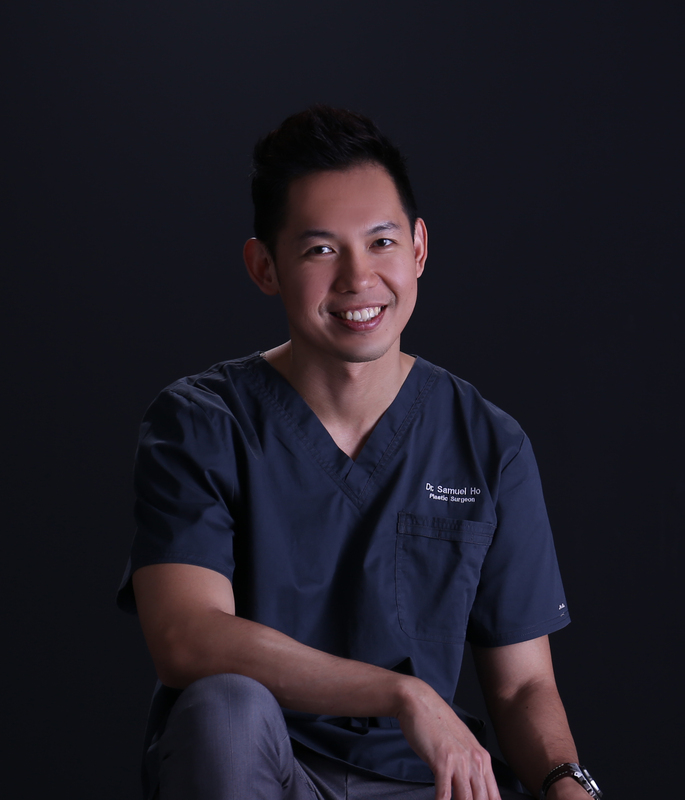 "Breast augmentation at Allure Plastic Surgery Singapore"
"Dr Samuel Ho has my complete trust"
"Glad I trusted Dr Samuel Ho for double eyelids surgery"
"Best Plastic Surgeon in Singapore for Double Eyelids"
Top service, best plastic surgeon in Singapore imho! Dr Samuel did my double eyelids using the stitching method (no-cutting) and I am happy with the results. Thank you Dr Samuel, I will come again and I will recommend to my friends. Nose jobs, (or rhinoplasties), are one of my favourite topics for discussion. They are also one of my favourite procedures to perform. While it's often said that the eyes are the windows to one’s soul, it's your nose that forms the fulcrum upon which the entire aesthetic harmony of your face balances on. There are many factors to consider before tailoring the exact type of rhinoplasty for the patient. In fact, planning and performing the surgery can get so daunting, many plastic surgeons simply choose not to perform rhinoplasties in Singapore. If you’re still deciding between having your breast augmentation in Singapore or abroad, this article lays out the pros vs cons for you to make a more informed decision.